The girls of Eckis Marketing sure know how to throw an incredible party. Since we can’t get enough of our unreal office view of Petco Park, which looks into right field, it was only fitting that we threw our Grand Opening Office Party on the night of a Padre game (where they won too, by the way)! We were so excited to show off our new office, along with our rad neon Eckis Marketing sign, which lit up the space neon pink so everyone from the hallway knew where the party was! From our small bites, to our cocktails and desserts, everything was absolutely amazing! We also had some awesome contributors as well, Rx Bar, Coola, and Kendra Scott, who offered our guests some product sampling. 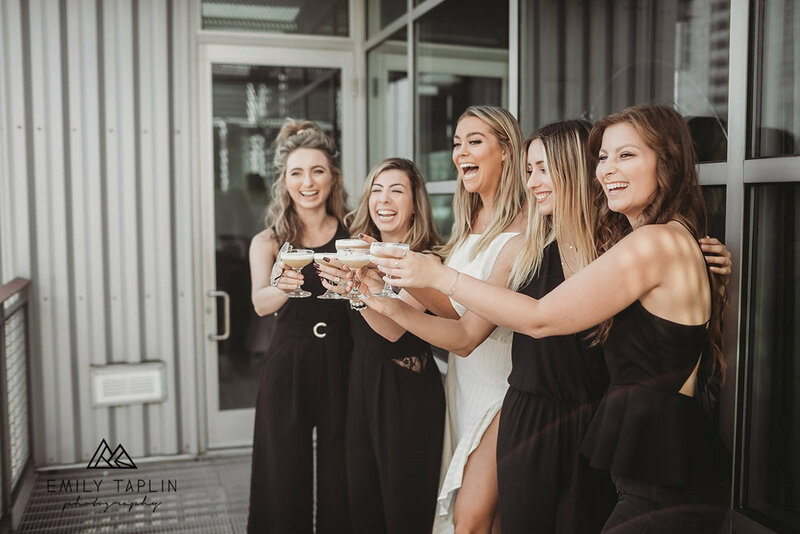 We want to give a huge thank you to everyone who came to our party to help us break in the new space, and to everyone who has supported Eckis Marketing, including our clients, friends, and family, we wouldn’t be able to do what we do without you all! For starters, we had some incredible vendors at our party. 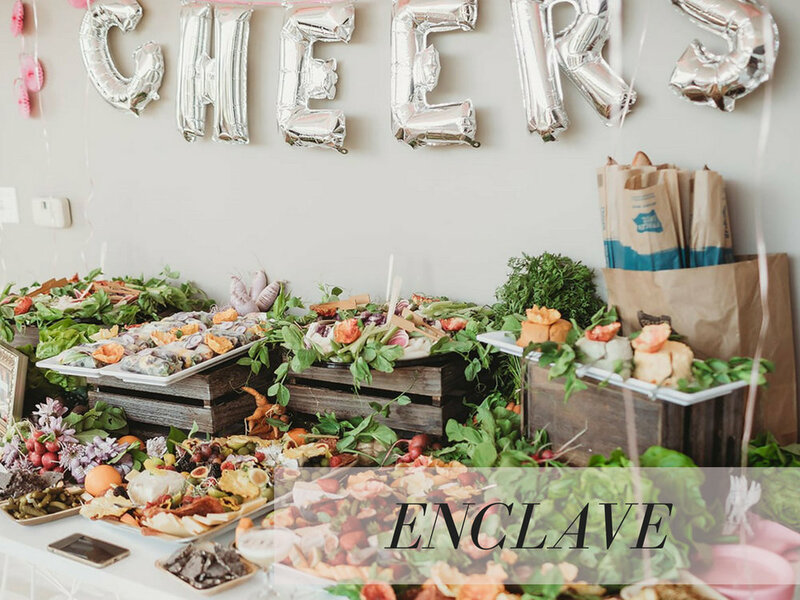 Enclave, a superfood delivery service, featured our small bites on a charcuterie board which was to die for. Seriously, I think we stayed by the charcuterie board and snacked all night long. Because when healthy food tastes absolutely amazing, is all local, organic, non GMO, and everything else good for you, why wouldn’t you eat all of it? 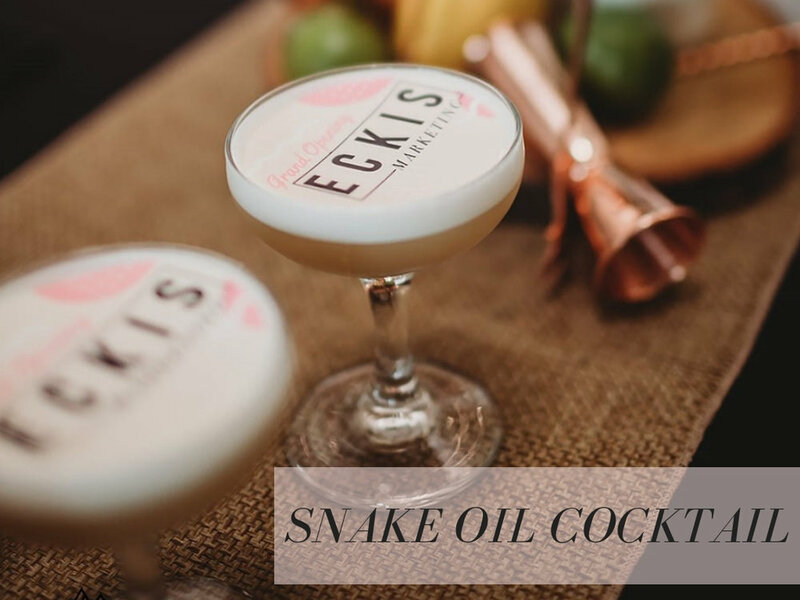 Snakeoil Cocktails featured our incredible Eckis and Influence Mvmt cocktails, which not only looked stunning, but tasted like a tropical pineapple paradise - they were a hit! Viva Pops featured our dessert, with uniquely flavored popsicles, where some were made with goat cheese and were so incredibly tasty. Our favorites definitely were the guava with coconut cream and the strawberry balsamic with goat cheese! 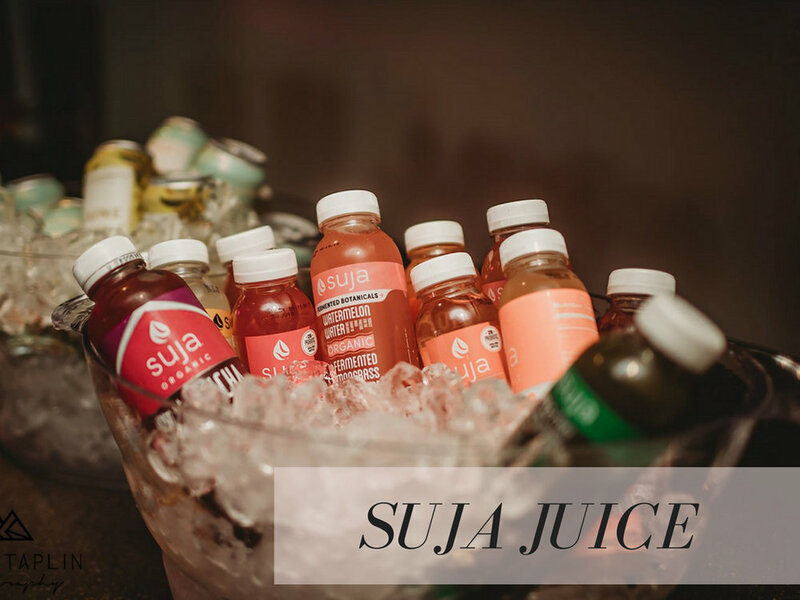 We also had June Shine Co’s hard kombucha, Suja, and Redbull for other refreshments, and Cobo Bottle featuring their reusable water bottles that give back to different charities. Besides the food, our favorite part of entertainment (as usual) was the photobooth station by Hello Fotos. Whenever there’s a photobooth at a party, you can guarantee the Eckis girls will be spending a good portion of our night snapping some great memories! Hello Fotos prints your photos right then and there, as well as having the option to email or text them to yourself, which makes getting your photos as easy as ever. It couldn’t be a better hit without Lucy running the photobooth and jumping in our photos as well, we love working with her and Hello Fotos! We had such an amazing time hanging out with some of our clients, family, and friends, who all made the night incredible. We met some new faces, caught up with some old ones, and enjoyed mingling all night long. Another huge thank you to our clients who sent us flowers for the party, we enjoyed them in the office long after the party ended! We’re so excited everything Eckis Marketing has in store for the future, and you best believe this party won’t be our last!